We released the first episode of The Vancouver UnReal Estate Show in February of 2017. Impressively, our little show about the politics of real estate now receives around 1000 downloads per episode. A month into releasing the show, we released a blog titled How to Start a Podcast for our real estate agent friends who were thinking of starting their own podcast. It’s been about a year since then and we (Keith and Stephanie) wanted to update you on what we’ve learnt in the past year, including what we would do different looking back. Plus we’ll answer some FAQs on creating the show. The video will answer some of the more basic questions we’re asked and then below we’ll get into some more of the technical stuff. What goes into creating each episode? We release an episode every other Sunday. Here’s what goes into the making of each episode. 1. 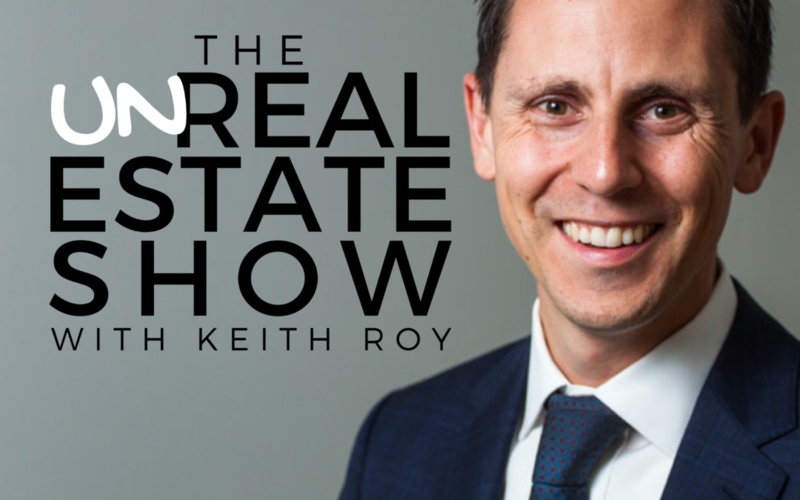 Guest request – Either Keith or myself will hear about someone in the real estate industry that we want to interview. Sometimes Keith reaches out directly, if he knows them, or I send them an email asking if they’d like to come on our show. I created a template for this. Almost everyone agrees to come on the show and I’m always surprised. 2. Schedule interview – Lately we’ve been doing a lot more interviews by Skype, but when possible I still like to record live. To avoid back and forth communication on scheduling, Calendly is a life-saver. 3. Provide Keith research materials – Once the interview is booked I’ll send Keith the date along with research materials on that guest or topic (articles they’re featured in or their research). 4. Send reminder, notes and questions – A few days before the interview, I’ll always email our guest a reminder along with a pdf on what to expect (this is especially helpful for Skype interviews, where they need to use a certain type of microphone and be in a room with minimal sound). I’ll also send them a few questions they can expect to answer based on their research or expertise. Both Keith and myself come up with questions. 5. Conduct the interview – I’m usually not there for this. Keith asks questions, they answer, Keith says stuff. It’s hilarious and informative. Once the interview is done he’ll send me the recording via Dropbox. 6. Edit audio – Now that I have the audio files I edit them in Audacity. I go through and listen to the entire recording, edit out anything they’ve expressly told me to remove and also get rid of lip smacks, some of the ums and filler words and remove any background noise as best as I can. Then I bump up the sound by normalizing, adding a hard limit, normalizing again and compressing. I usually equalize a bit to add some bass. While I’m going through the audio I’m also on the hunt for snippets of audio to add to the front of the episode. I’m looking for little preview clips that will serve as a teaser of what’s to come. If you listen to the show, you’ll notice we’ve done away with the individual episode intros and replaced them with these little snippets. 7. Stitch all the audio together – This is where I use Garageband instead of Audacity. I just find it easier to view for putting intro and outros and any other clips together. I drag and drop all my audio files into Garageband, add the music, adjust the volume levels and the music fade in and outs and then export the file to an MP3. 8. Add Metatags – Next I open the file in iTunes, give it an episode name and edit the podcast info. 9. Export and Name File – In iTunes I’ll click “show in folder” then rename the file in the format SHOWNAME-YEAR-DATE-EPISODE# (example: VURES-2018-04-05-051) This is the final file I’ll use for the episode. It makes it a lot easier for people who are downloading the episodes via the RSS feed to find the file on their computer and for it to show in sequential order. 10. Write show notes – I keep these pretty simple. I include any links Keith mentions in the show, introduce our guest with links to where you can find more of them and add any articles that Keith and the guest may have discussed or might be relevant to that episode. 11. Publish to website – Since we’ve installed the Power Press plugin for WordPress, all I do to publish an episode is add a new post to our website, like you would create a blog post. The episode title is the post title, the show notes are the post body and the audio file is uploaded to Blubrry directly from the “add post” page via the Power Press plugin. I usually do this well in advance of the episode launch date, so I schedule the post to be released instead of publishing immediately. 12. Podcast goes live! – Once it’s published the episode will automatically be live on iTunes, Sticher, Google and whoever else you’ve given access to your RSS feed. 13. Episode marketing posts – I use Canva to create a graphic for the episode to share on social media – Facebook, Twitter, Instagram and LinkedIn. 14. Guest email – This is the most important part of your podcast marketing – the guest follow up email. I have a template I use for this to make it easier for myself. It’s a thank you email, letting them know their episode is live and sending them links to listen. It’s also a request to share with their audience. So very important for growing your listenership. 15. Facebook ad – We don’t run ads for all of our episodes, but some of them we do. We’ll sometimes advertise high profile guests or exceptionally good episodes . 16. Update my podcast tracker – I have a spreadsheet with every episode, guest, topic and episode link. It also serves as a way for us to plan future episodes. It has guest ideas, dates for interviews, etc. Basically the entire podcast planning process in one document. It’s important. What tools do you use to create the show? Rode Smart Lav+ – Still using two of these bad boys and an iPhone for almost all of our recordings. It’s actually pretty amazing that our sound quality is so good for some basic cheap microphones. Garageband – For some reason I’ve gotten in the habit of editing audio in Audacity but combining audio files in Garageband. You could use Audacity for everything. Call Recorder for Skype – Works perfectly. 1. Having a go-to guest – If you listen to the show you’ve surely heard an episode or two with Chris Thompson. Chris is a good friend of ours and a former tax lawyer. He loves being on the show and him and Keith can talk about just about anything. There’s been a few times when a guest cancels at the last minute or Keith’s running out of town and doesn’t have time to schedule an interview and Chris always comes to the rescue. I don’t want to say he’s a back-up option only though, since we often plan to record episodes with him. Our most listened to episode ever was the tax debate episode with Chris. If you can find yourself a Chris Thompson, your life will be easier and your podcast will be listened to more. 2. Releasing an episode every two weeks instead of every week – Once a week when you have multiple other jobs is really aggressive. Since we moved to once every two weeks we’re producing better content and it’s way less stressful. 3. Having evergreen intro/outros and music – Adds consistency and makes us sound pro. Plus we don’t have to record those over and over again. 4. Templates – Guest request, interview prep, podcast tracker, guest thank you email, canva templates. It took me a while to put all of these together, but these systems are a game changer. Send me an email at stephanie@stepharnold.com and I can send you the templates I created. 5. Recording via Skype – Keith and I were both hesitant to record interviews via Skype because we didn’t know how well it would work and we didn’t want to sacrifice sound quality. It turns out it’s stupid easy to do (via Call Recorder for Skype) and the sound quality is better than you’d expect. Actually, it sounds so much like a podcast to me when I hear it, since personally I listen to a lot of podcasts recorded this way.